Each year, the Midland Area Community Foundation (MACF), along with a committee made up of staff and volunteers, works hard to plan and organize Midland’s biggest summer festival. Riverdays has existed in some form since the early 1900’s, and we are proud to carry on the tradition. Riverdays is meant to be a gift to the community and a celebration of Midland. 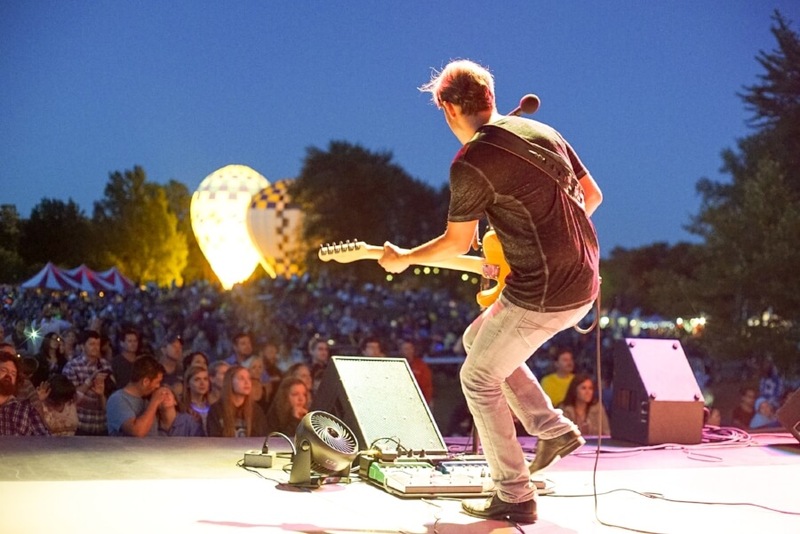 On July 15 & 16, thousands of our friends and neighbors joined us in Chippewassee Park for a variety of fun activities for kids and adults, culminating with a free live concert by The Verve Pipe and an outstanding fireworks display. By all accounts, it was the busiest the festival has ever been, attracting over 10,000 visitors. Over 100 volunteers are needed to make Riverdays a success, and we owe our thanks to each and every one of them. Various nonprofit organizations led the children’s activity area. Midland’s morning and noon Rotary clubs managed the beer and wine tent, while the Lions Club offered their BBQ chicken dinner. Both events raised funds for great causes right here in Midland. Greater Midland Community Centers offered the River Run 5k and a morning Zumba session. Our local police and fire departments met with children and families in a fun atmosphere. Each added a unique element to the festival. Special thanks goes to the City of Midland Parks and Public Services staff for their many hours behind the scenes. Jeff Bowen, Jim Malek, Robert Johns, and Andrew Stephenson each deserve individual recognition for their time spent volunteering throughout the entire festival.